Look at all the words in the sky! This fun word board game is a great way to combine fun and learning for your kindergarten. 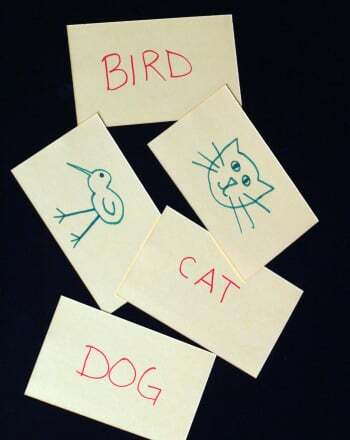 Cut out the board and game pieces with him, and help him identify words quickly and fluently. This Halloween board game is extra special. 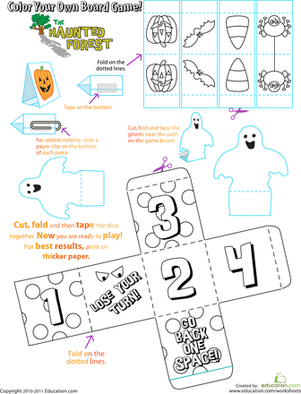 In this Halloween board game, kids not only get to play the game, they also get to color it in. 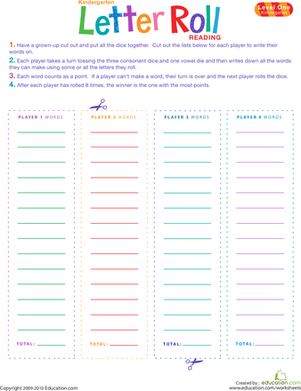 Enjoy a simple board game to celebrate the spring season! Practice counting your way to the farmer's market. In need of a new board game? Try this fun printable, perfect for calming down a house full of silly monkeys! Here's a sweet little board game for a rainy day, about a rainy day. 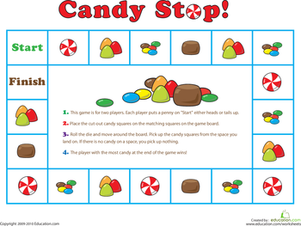 Candy Stop is a fun printable board game that will entertain your kindergartener and help him practice counting, too! Practice coin recognition to set your child up to grasp the concept of coin value.